 In 2017, Mosaic Baptist Church celebrated its 45 year anniversary. By God’s grace, this has followed a rich history stemming from its foundations as Belconnen Baptist Church.  After a period of 2-3 years with Baptist-affiliated Christians meeting as a fellowship in homes, Belconnen Baptist Church was founded in 1972 with 38 members. Sunday services were held in Page Primary School Belconnen. Several ministries were commenced including an all-age Christian Education Program and a missionary support program. Church members have warmly embraced input from a variety of evangelical traditions with many members (and then leaders) coming from differing backgrounds. Lay leadership has been via a Diaconate (since 1972) and an Eldership (since 1978). The Rev. Clayton Riddle commenced as the Senior Pastor in March 2016. Many other ministries both lay and professional of shorter duration have enriched the church over these years including the current leadership team. The original church centre was built in the mid-1970s. In the mid-80s Another Chance Op Shop (now at the Scullin Shops) was opened for business. In the ’90s our two Creative Leisure Groups commenced. In 2000, the church purchased a house in close proximity to the church that now serves as a Community Centre. As the end of the century loomed, it was apparent that the then current leadership structures were inadequate for a ministry into the new century. In particular, the Deacons were often preoccupied with administrative issues and had little time to address the real work of the church via ministry. This resulted in considerable heart-searching and through a vision forming process we believe we were led to clearly articulate a vision for the Church. From this, God led to a revision of the role of Deacons. This resulted in a decision that they should become Servant Leaders, with responsibilities for specific areas of ministries. The Servant Leadership Team, therefore, replaced the Diaconate. As these new initiatives were launched, the dreams and visions of many became realities as the gifting of many became released in service through ministry teams and servant leadership roles. More recently, the church adopted a multi-congregational model across a variety of locations. In 2015 the church purchased a building in Mitchell, ACT part of the Gungahlin area. Prior to this period around 40-50 people gathered at a number of schools in the Gungahlin area as a new congregation was formed, led by Pastor Clayton Riddle. With a new location of Mitchell in the Gungahlin region of the ACT being added, it was appropriate to review the name of the church, and Belconnen Baptist in Gungahlin wouldn’t really work! After considerable discussion and consideration, Mosaic Baptist Church was chosen from several names by the members of the church. Mosaic represented the diversity of the community of people, their ages, backgrounds and cultures as one body in Christ. Along with the adoption of the multi-congregational model, the church undertook a review to ensure its vision, goals, purposes and operational model all aligned. In 2018, discussions were underway with North Belconnen Baptist Church in Evatt. North Belconnen had been operating since the early 80s. On November 21 2018, North Belconnen Baptist Church and Mosaic Baptist Church agree to formally merge, with the intention that as a consequence the unincorporated association of North Belconnen Baptist Church will be dissolved, and a new congregation of Mosaic Baptist Church will be launched. Mosaic Baptist Church, Evatt Campus, held its first service on 17 February 2019. We praise God for the way He has blessed His church and we are mindful of our responsibilities in serving Him through the community around us now and into the future.